The Vind family is Danish and belongs to one of the eldest Danish family nobilties. The origin starts in the northern Jutland,- Ulfsborg Herred, sometime in the 1100s, and from here the family has spread across Denmark, Norway and Skåne. 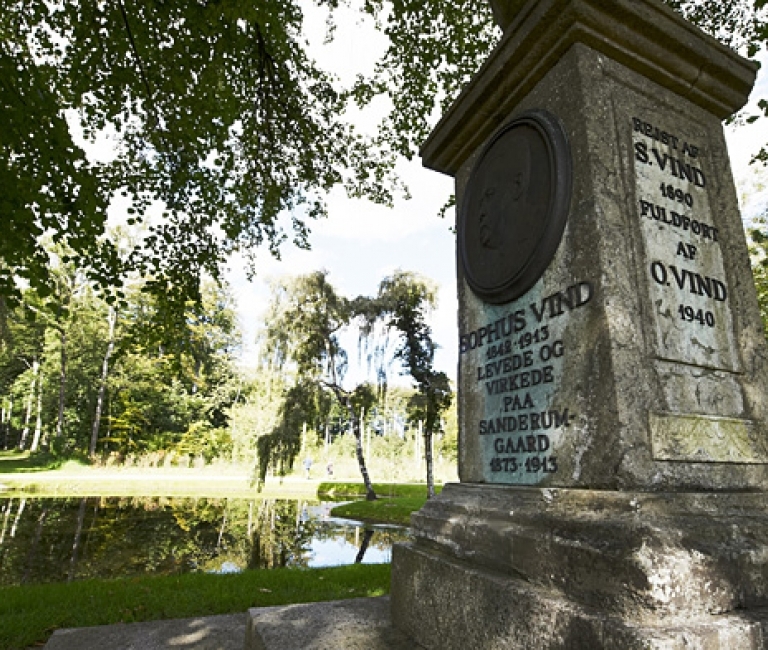 Vind is a short name that characterizes the early Danish families like Calf, Mis, Spide, Hase, Thun and Mund. The name should be visible on the shield. From 1525 it is possible to follow both the family and the individual people through the books of church and king until today. The main occupation within the family was a knight, warrior, officer, diplomat or farmer. Today there are 10 descendants of the noble branch of the family in Denmark. Sanderumgaard is the main center headquarters of this family. It is the 6th generation at Sanderumgaard.